Both saddle soaped and conditioned. Update (Feb 14, 2014): Below I’ve added a new photo in which I swapped out AE’s Leather Lotion for Obenauf’s Leather Preservative in step 4. It’s a little harder to apply since it’s solid at room temperature so you need to melt it with your fingers as you rub it in, but it offers superior water repellency. I also prefer the surface finish achieved with the Obenauf’s to the AE lotion as it returns the leather closer to the original sheen but with an added depth. And as a bonus it smells deliciously of honey. 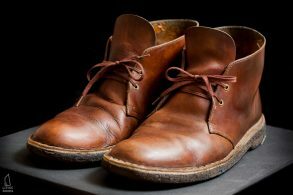 Do note that oiling shoes will make them considerably darker, and frequent, heavy applications of Obenauf’s LP can reduce depth and lead to an undesirable soggy brown look. To avoid this just apply light coats only as needed. I’ve taken side-by-side before/after photos to try to make it clear that darkening occurs. I’ve also done this same OLP treatment to my Oliberte Mogado Hi’s and include a side-by-side before/after photo in that post as well, which also shows considerable darkening. Since taking those photos, both pairs have lightened back up to their original color. As such, I haven’t had the issues exhibited in the “soggy brown” shoe linked to above, but it seems to be a real concern for much of Reddit. A good middle ground is to use coconut oil instead of Obenauf’s for a less aggressive treatment. Coconut oil is good for a few reasons, 1) it’s very stable, so it won’t go rancid in/on your shoes, 2) as a solid that melts with body heat, it’s easy to apply in the same controlled manner as OLP, 3) it’s a food, so clearly non-toxic, 4) you can also use it on dress shoes (don’t use OLB on dress shoes!) and 5) even the best stuff is very affordable and you might already have it in your kitchen. Update (Jan 20, 2017): I’ve photographed another side by side before/after cleaning and conditioning. These are Oliberte Zabilo sneakers cleaned with saddle soap and conditioned with coconut oil. These shoes had been put through the wringer and relegated to yard work, but I was cleaning some other shoes and thought I’d see what could be done. I’m rather impressed by how much they recovered and I’ve brought them back into rotation. I tried the Obenauf’s LP on your suggestion and was highly unsatisfied. Not only did it significantly darken the color of my boots, but it offered little in the way of any real protection or preservation (the boots got just as scratchy as ever when i first wore them again…the only real change was that they were darker). Maybe I messed up in applying it, but I won’t use the product again on any brown leather shoes (only a maybe on black leather). On the other hand, the Meltonian Saddle Soap works like a charm. As for the scuffing, if it was cool in the room when you were applying the product it might not have penetrated very deep into the leather. 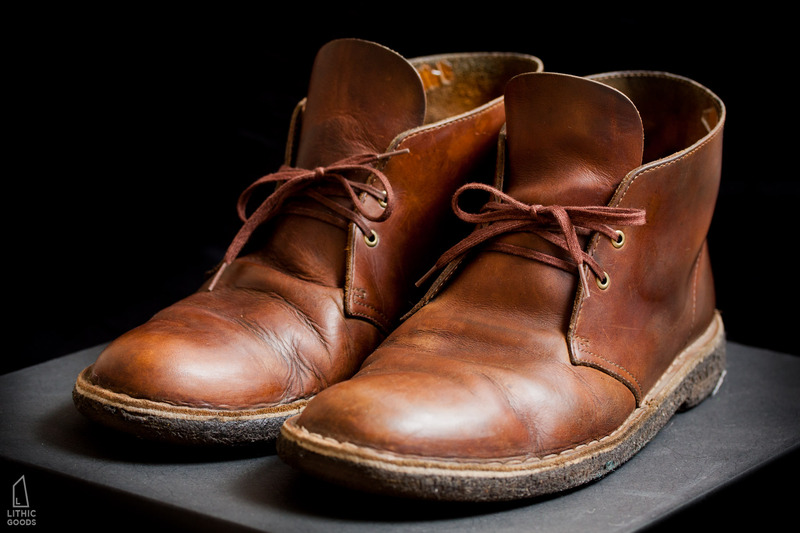 Or perhaps your boots were overdue for this process and the leather had already dried considerably, in which case you might need to heat the OLP to penetrate deeper into the leather. Some people recommend using a hair dryer, but I just followed the directions and used my hand to work it into the leather. That said, my shoes still scuff, get dirty, and dry out from rain, so I reapply from time to time. 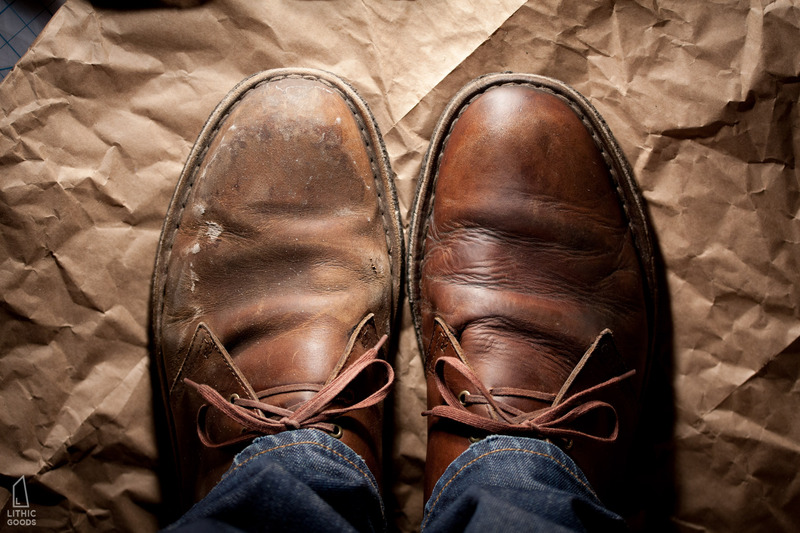 This is unavoidable…unless you were to saturate your shoes with something like neatsfoot oil, but that stuff is pretty messy, makes leather very dark, and if you over-saturate you’d end up with oily socks. Best of luck solving your puzzle. The common wisdom generated via multiple Reddit users is that Obenauf’s is overkill and can sodden the leather with heavy oils. Neetsfoot or coconut oil is preferred. I have not used either personally. I’ve used all three and find them all to be good options depending on your need, aesthetic, and preference of application. For the Desert Boot in Beeswax I prefer either coconut or Obenauf’s, since my goal is to have a waxy sheen and retain boot structure. Additionally, I prefer the clean and controlled method of applying a “solid,” which I find is easier to achieve a uniform surface coating. Neatsfoot on the other hand is incredibly penetrating and necessary for dried leathers that need to be conditioned through the whole thickness of the leather–not just near the surface. Since I condition my boots frequently this is unnecessary and applying coconut or Obenauf’s to the surface is sufficient. The downside of neatsfoot oil is that it can easily over saturate and drastically darken leather. Also note that during application it’s absorbed much faster in areas that have received abrasion, which initially leads to spotting, however after a few hours/days it’ll usually even out and return to a uniform (but much darker than original) color. This can also result in getting oil on your pants/socks if you wear them immediately after applying (which you shouldn’t). Because of the penetrating nature it deeply softens the leather, which is ideal for some applications, such as a baseball glove, but is not what I’m looking for when it comes to boots, where I’d like to retain full structure. Ultimately, each is good for its purpose, it just depends what you are trying to achieve. Thank you for this very helpful breakdown of the different products’ effects. 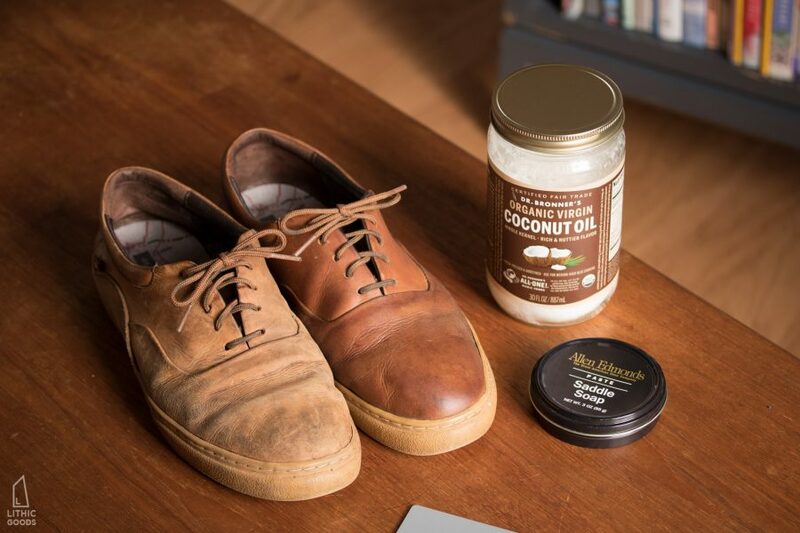 I have both saddle soap and coconut oil at home, so I’m ready to treat my beeswax low tops! Thanks for this post Jon! I’ve been trying to make my Clarks look more “alive” since a while now. They’re my daily wear and extremely comfortable. I previously tried using Mink oil to condition it, but it didn’t really do anything to these shoes. I’ll try out your tips and let you know how it goes. I have a dark brown leather messenger bag and was wondering if I could use the same steps & products for that as well. I’m not sure what type of leather it is, but it’s the Kenneth Cole “Risky Business” bag. You might not have worked the mink oil fully into the leather or maybe it was cold out when you were applying the mink oil? With the Obenauf’s leather preservative you’ll need to work it into the leather with your fingers get it to melt and penetrate. As for your bag, I can’t say, since I don’t know the leather’s details/finish. I’ve seen theoretically “nice” all-leather Brooks Brothers bags that have a plastic coating on the leather that prevents any product from penetrating and conditioning the leather, it also begins to peel and delaminate as it ages in a non-reversible way. Of course, not all companies use coated leather, and the higher-end brands generally do not, in which case it would be possible to condition it with leather care products. If you’ve had the bag for a while, it should be pretty easy to look at the leather surface where it has been scratched to see if it has a plastic coating or is just leather. Also note that, as with all leathers, the bag will darken when you apply any kind of conditioning, so test in a hidden location. Best of luck! You are correct, the photos are of the Beeswax Desert Boots and the colors are correct. The leather lightens with wear and then darkens and gains a depth with the Olbenauf’s LP. The crepe soles have a tackiness that attracts dirt to the extent that they almost turn black. 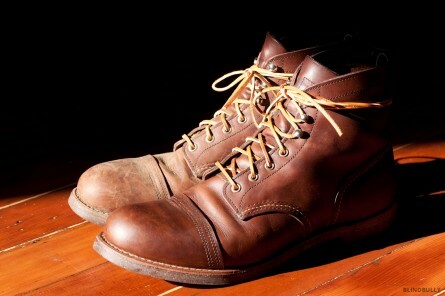 I used the obenauf leather preservative. It really darkened my boots. Does it go back to the original color or is it permanent? Yes, the leather darkens when it’s oiled, see the bottom photo above. It’s very similar to a cutting board that dries out over time and lightens in color, but turns dark when wet or oiled. And, just like a cutting board, if unoiled for too long, the leather will dry out and crack. To answer your question, yes after you’ve oiled them they’ll continuously lighten, after some time returning to the color at purchase, and then lightening to the color they were yesterday…and then it’ll be time to oil them again! Great little bit of information here. Not sure if you are still viewing this, but I just oiled my beeswax db’s up and now have this dull waxy residue. Any tips on how to get rid of it? Or at least get them to have a nice shine? I used the weather treatment wax that Clarks provide in store. I got rid of all my other stuff when I gave my red wings to my step dad… Should of kept my good wax. Clarks beeswax desert boots come new with a waxy sheen. It’s not a polish and isn’t polishable, since it’s wax. In my photos in this post, you can see that after treatment mine aren’t polished, and rather have a dull sheen, similar to what it sounds like you’ve accomplished. Since these aren’t aren’t dress shoes, they aren’t meant to be polished. 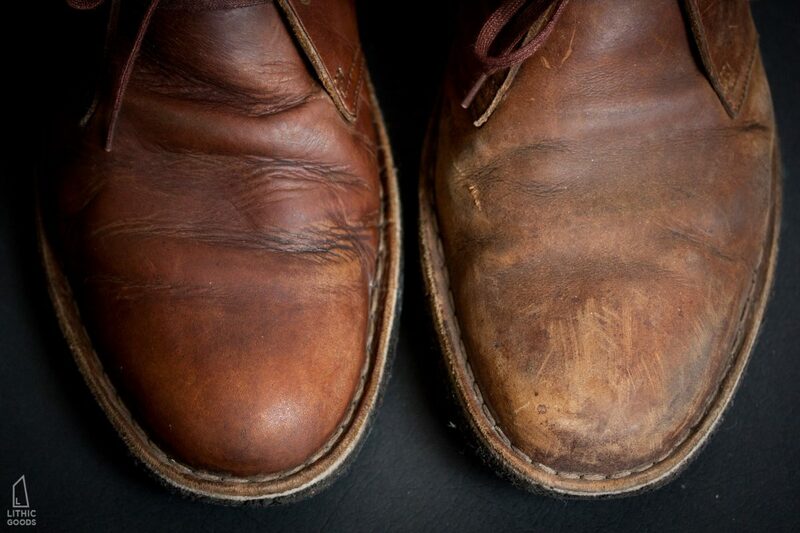 That said, you could try polishing them the next time your boots need treatment. The leather isn’t what you’d normally polish, but it could be a unique look. 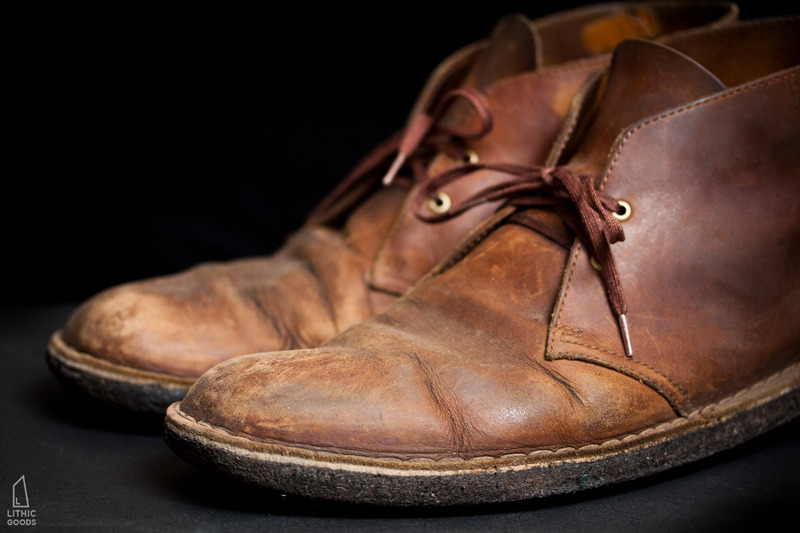 Hey, great article on taking care of your desert boots here. However, I just bought my desert boots offline and as soon as I opened them I noticed that one boot looks alot darker than the other. They both have the beeswax finish but one is just like a shade darker. Do I need to polish them or how can I fix this problem? There is variation in leathers from batch to batch and sometimes a left boot is made from one and the right boot from another. Because of this I really cannot say if over time they’ll become the same color. They’ll both lighten over time and you could treat the lighter one first, which will make it darker in color, but I’m not sure how effective that would be since you’ll really want to treat them both. Alternatively, you could return them and say that there is a quality control issue. Some people approach this by saying that these are fairly inexpensive boots and you cannot expect great quality control at this price. I disagree with that sentiment, since you paid for what was pictured, and I’m sure the boots in the photo matched. General advice, which will probably be fairly meaningless since I haven’t seen a photo of the boots, would be to just wear them for a bit and with wear and dirt and differences will likely become less noticeable. Then you can clean them and treat them as mentioned in this post and maybe they’ll both end up a similar dark brown color. Good luck!